How do I know if the school I choose is legitimate? We’ve all heard the horror stories of not being paid on time (if at all), of working way more hours than were agreed upon and not having any support from the school. We lived in Yangzhou, China and worked for Shane English School for one year and had a very positive experience with them. In fact, they are currently looking for teachers at their schools in Yangzhou and Shaoxing. If you’re interested, click here to learn more and to apply for the teaching position. 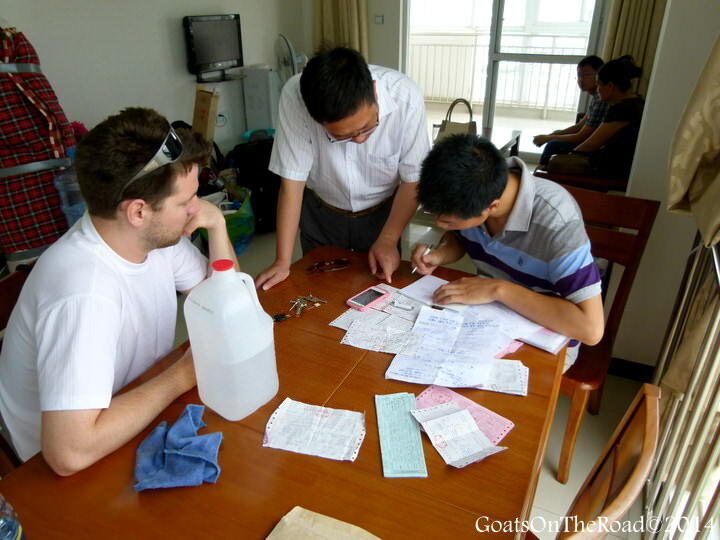 At the Shane School in Yangzhou, the foreign teachers are provided with some extra assistance. Standy is the Welfare Officer (Personal Assistant) at Shane English School. He’s available for anything and everything. It’s great to have a translator that you can call in a bind, someone to help with moving in and out of your apartment and someone to teach you about Chinese culture. He helped us with everything we needed from booking flights for vacations to developing pictures for our walls. He was always there to assist us and was (is) a great friend as well. Shane School is legitimate and honest. Pay cheques come on time each month and they follow the contract to the line. Bonuses are paid. You won’t be expected to work more hours than you are contracted out for and you’ll be given lots of support from the school. You can expect everything to be exactly how you are told before coming here. These are all great reasons to teach and teaching English is a great job, but there are so many more options out there for those who want to learn how to earn money and pay for travel. Check out our epic list of 101 Travel Jobs, learn how to find work using online job postings and registries, how much each job pays and what the work entails. Start earning good money while travelling and living abroad now! Shane English School is an international school (in conjunction with Saaxon Corp.) with branches all over the world. The curriculum and course structure is also world-class, with clear, easy to follow lesson planning resources and guides. Teacher’s books are available for helping with lesson planning and there are meetings each week to discuss and improve the structure of each class. The students have homework books, flashcards and weekly in-class and telephone teaching with the Chinese Teacher. 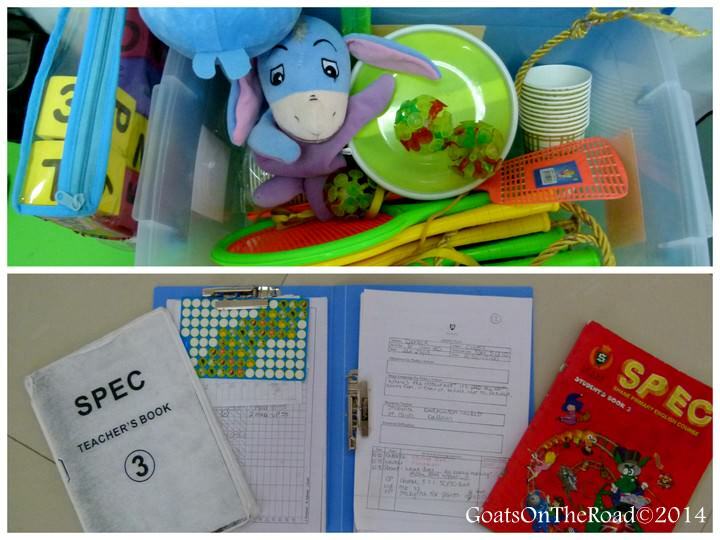 Teachers are able to use their creativity to improve the quality of the class as well by inventing their own learning games, scoring methods and discipline techniques. All of the resources you would need to make the classroom a better place for the students are available. Upon arrival to Shane English School you are given a basic rundown of class structures and lesson planning by the senior teacher, or the Academic Manager. You will be able to observe multiple classes being taught by different teachers in order to see a variety of teaching styles. Shane English School has a particular lesson structure you must follow, but the methods teachers use to implement these lessons are all different. It’s great to watch various teaching techniques. After some time studying and observing classes, teachers are then sent (all expenses paid) to Shanghai to undergo an extensive 3 day training program where they are fully prepared for classroom management, lesson planning and level checking. Not a bad place to go for training, hey?! Many people who come to China hope to land jobs in big cities like Hong Kong, Beijing or Shanghai and we never quite know why. 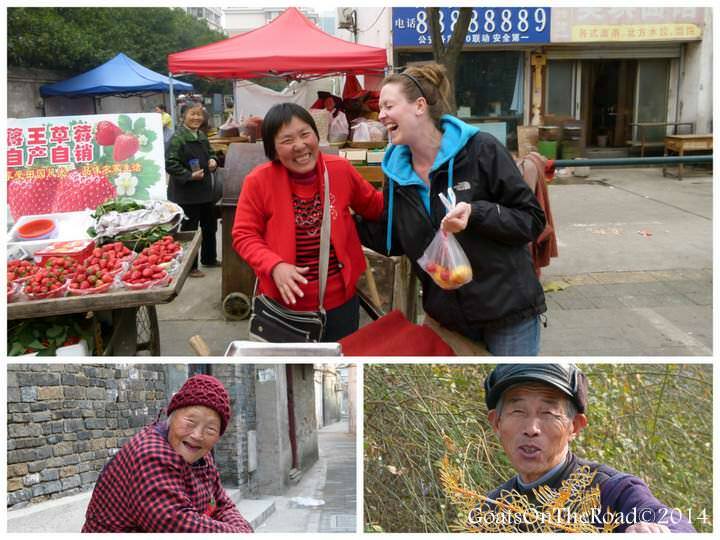 Surely if you’re venturing to a country as foreign as China, you’re hoping to experience something new and exciting. So why would you want to go to a city with western architecture, western food, western mentality and English language everywhere? Not only that, but the cost of living in those big cities is much higher than Yangzhou. In Yangzhou, you will really feel like you’re immersing yourself in Chinese culture and you will learn more of the Chinese language – barely anyone speaks English. Either way, living abroad is awesome! In each classroom, there will be a Chinese teacher there to assist you with whatever you need. Outside of the classroom, these women are in charge of dealing with the student’s parents, as well as weekly telephone teaching and an in-class lesson each week. They are amazing at their jobs and really made our jobs much easier. They will prepare all of the regalia for your lessons and help with ideas for new games and teaching methods. We really don’t know what we would have done without these Chinese Teachers! Upon your arrival to China you’ll know absolutely nothing about how to pay your utility bills or where to find an apartment. Shane English School offers an excellent housing program that not only covers your monthly rent, but helps you find the perfect place when you get there. A member of the Chinese staff will drive you around to different apartments and help you find one that’s right for you. When you find one, they translate the entire contract into English for you and ensure that you’re renting from a reputable, honest landlord. As with most contracts in China, Shane English offers flight allowance, health insurance and a completion of contract bonus. On top of this, Shane offers retention bonuses. The more students you retain, the more you get paid at the end of the term. At the time of writing, if all of your students sign up again for a 16 week course, you get ¥266 ($40). It may not sound like much, but you have between 10-12 classes at any given time so you can expect this number to add up quickly. Also, the cost of living in Yangzhou, China is quite low, $40 goes a long way! Shane English School offers great bonuses! Shane English School does a great job of making the schedules. The office manager will do her best to make your teaching schedule as convenient as possible. Not only will she try to make it so there aren’t any long gaps in between teaching times, but the schedule will never be filled completely. At Shane, you’re contracted to work 20 hours a week, but we rarely worked more than 18. Other schools often fill this time with “office hours” or “lesson plan time” but Shane School in Yangzhou does their best to keep these hours to a minimum. The people in Yangzhou are incredibly kind. They are always so happy to see a foreigner and they are honest and genuine. You’ll never be ripped off by taxis or shop owners and you’ll be treated like honoured guests. The same goes for the workers and colleagues at Shane English School, everyone here is sweet and friendly. So there you have it, 10 reasons to work for Shane English School in Yangzhou. We ended our contract in July, 2013 and can honestly say that we couldn’t have been happier with the experience we had with this amazing English school. We miss Yangzhou, our friends and our students dearly and who knows, maybe one day we’ll return to teach English at Shane School, Yangzhou. 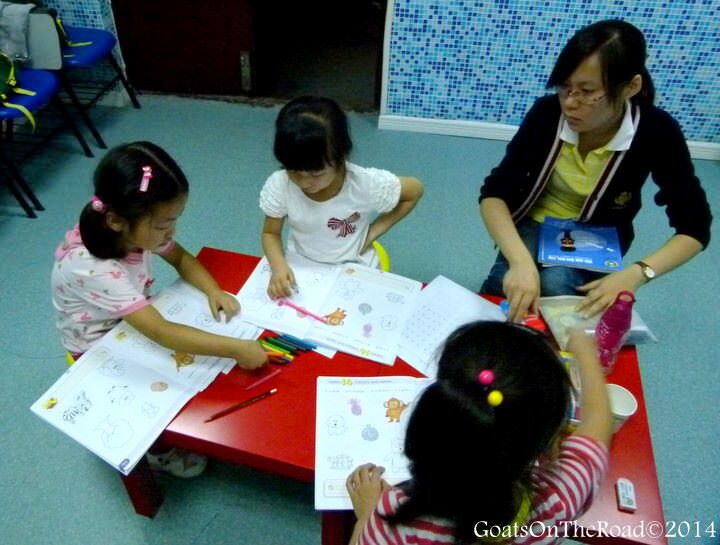 For more information on Teaching English in China, click here! Have you taught English abroad? What was your experience like? Share with us! Thank you Cindy 🙂 We miss you guys! We miss you guys, you are welcome to come back anytime you want! Safe travels guys! Hope all is well in Yangzhou! We miss you guys too. You’re the man Standy! You deserve to be famous. I have a job offer with Shane schools in Yangzhou and am now even more seriously considering it after your thorough review! Thanks again! are africans too given the opportunity to teach at shane english school? Well, they did hire two Colombians, so I would think Yes! Hiya! I am a young 46 yr old woman with no kids, and currently no major commitments. I love to travel. I plan to complete an online TEFL course in mid-March, but I have not completed my BA. I plan to complete my BA online while teaching. I am aiming for northern China in a province outside of Bejing. Once I have my TEFL certificate, without a degree and being 46, would you say my chances of getting hired are slim? I’ve had such an amazing life, including working in the film/television industry and working as a showroom designer in Hong Kong for five weeks, as well as showrooms here in the US, that I believe I have a lot to offer any classroom. I also love working with children and have done a lot of nanny and childcare. Also, I’ve read articles that claim online TEFL courses should not cost less than US 500. Is this true? I’ve been looking into ITA based in Chicago, for $1395, but have found there are deals out there. Any ideas, wisdom, suggestions? Thank you! Wow, it sounds like you’ve had a very interesting life so far 🙂 That’s incredible and it seems like you are qualified to be an English teacher in China. It’s great that you’ve been a nanny as well. Once you have your TEFL, you should be able to get a job in China. Technically you should have a degree as well and I know in some of the major cities, they are cracking down on this, but if you’re not in Beijing or Shanghai, you should be ok. Amazing!!! I am teacher, Portuguese not native but I have lived in Australia and I am living in Ireland now with the main purpose of improve my English to be able to teach English abroad, China and Thailand are valuable options. Thanks for your brilliant posts. Hello, ‘Goats on the Road’! I am happy to report on your articles; they are very genuine, easy going and flowing,and this one is no exception. I will recommend this place to some of my colleagues who would (just like you) experience the outskirts of a big city or a smaller town to get more familiarized with China and its people. Thank you Maya 🙂 We really enjoyed our time at this school. It’s quite interesting to hear this side of the coin, as the internet seems to be full of mixed reviews for Shane. I’m looking for my next teaching job and I’ve seen plenty of advertisements for them, but must admit I’ve been a little hesitant due to what I’ve read on the internet. I suppose a lot just depends on what school you end up at! Glad to hear you had a good experience though and it’s quite encouraging for me to hear this. Thanks! Question: Are you required to bring along a criminal background check from your home country? We (couple) are in Thailand travelling at the moment, so that would be a bit difficult to get done, and would probably take a few weeks to wait for it to arrive here. …..so I’m hoping it’s NOT necessary. Please let us know. I’m also traveling at the moment and far from home, so it would be a major hassle for me too, so….. I have the same question as above. *Do I need a criminal background certificate of some sort to teach in China? * Did Shane School ask you guys for one or is it not necessary? Your quick reply would really be appreciated! Yes, typically you will need a police background check. You can check in your home country and see if they can run the check and then fax it to your school or you can have a loved one fax it. It’s worth a try! Shane did ask us for one. Hi 🙂 we’ve just decided to make the move to China in two months. We’re started our 120 hr course this week, should we apply now and mention we’re currently completing the course or should we wait until the course is over. Sorry if this is a silly question. Also were you able to get tech items like slr cameras in Yangshuo or is it too small of a town for those kinds of things? Good question about the camera. There are definitely some stores where you can buy electronics. I bought my laptop there and they also have Apple products. 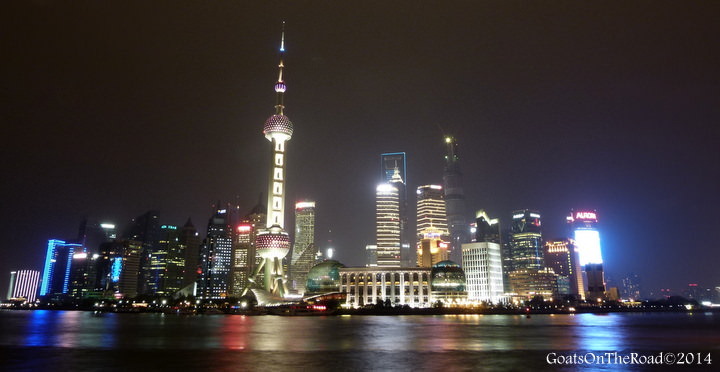 The great thing though, is that Shanghai isn’t far away, which has many options! Curious but did you know many families who moved abroad to teach English in schools? Do you think this would be a viable option at Shane? Hi, excellent article 🙂 . Thanks a lot, very inspiring. I’ve been a French and Spanish instructor ( college level) in the U.S. for many years. I have a Masters in second language acquisition. I have decided to quit everything and just travel. Because I’m a French native I never thought about having a chance at being hired as an English teacher. Also I’m 43.. However, I’m meeting more and more non English language native who get hired. :-). So I’m looking at taking the TEFL but prices varies greatly within the same company between courses. Do I need to take the most expensive master level TEFL course or can a basic one suffice since I have experience in the classroom? What level of TEFL did you guys take to get hired for example? So many questions. Sorry :-). I’ll be happy with any advice you could have the time to share. Merci! Thanks for commenting! Basically, you will just need proof of a TEFL certificate. Of course, the longer and more in depth the course, the better prepared you will be for being an ESL teacher. Having said that, it sounds like you’ve already done a lot of teaching! So, a basic one should do. http://www.shareasale.com/r.cfm?B=713139&U=1142269&M=58539&urllink= Good luck and happy teaching. Thanks for the great article. I am very interested in esl teaching in China ans Shane sounds like a great school to teach at. I was wondering if Shane requires a bachelors degree or is a TESOL enough? I really want to be an English teacher and work for abroad. The problem is how to find out the legitimate school to teach. The most favorite city to me is Beijing. But as i know, it is polluted in air. Yangzhou is just a small city in China. Is it good or not to have a job in this city? Do you have another example for schools except Shane English School.? 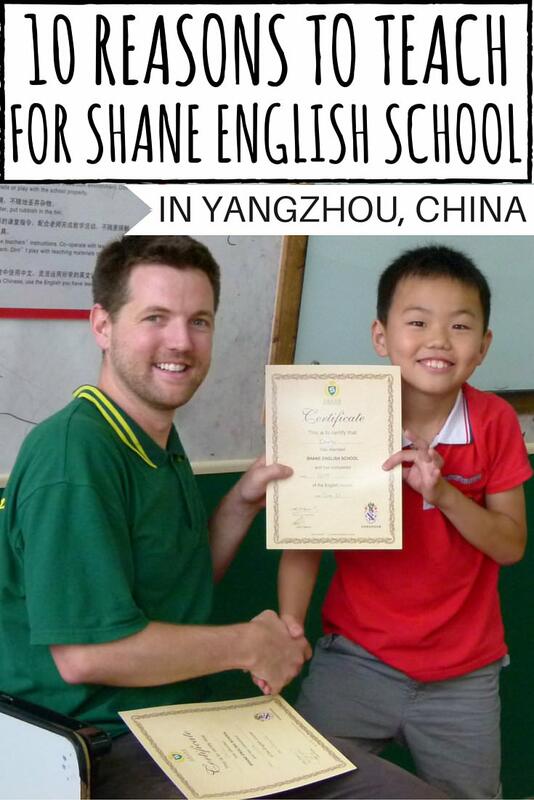 We have only taught at Shane English School in Yangzhou, and can recommend it. 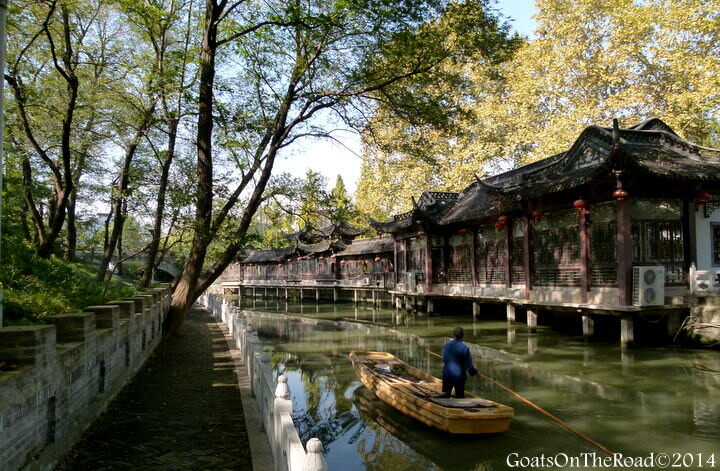 Yangzhou is considered small and there are around 5 million people there! We did enjoy our job there and the city. Hey guys thanks for the awesome posts. I have been thinking of applying to Shane when my current contract ends and this has really helped give me lots of insight into teaching for them. Thanks for the article, I am looking to teach English in China next year and want to start my TEFL course. Shane sounds brilliant however I’ll only be 23 when I wish to go, is there a reason why they’ll only accept older teachers? Failing that there is an internship programme on myTEFL.net for China, do you know anybody that has done it and what their experiences are? and we where wondering where we could teach ! now our only question is , why do you need to be 25 years old ? is it in every school like that ? i’m 25 but my girlfriend is 20 , i hope that wont be a problem ?! The age limit is set, but not in stone. I have a question for the ‘Goats’. I have also applied for Shane Language school here in Thailand hopefully commencing next month however, I have yet to hear a reply (am I to expect one?). What I wanted to ask you was about your application process for applying for the school in China? How did you apply? Who conducted your interview? How long did you have to wait after your initial application before they accepted you to work there? Was it a long time or did they offer the position to you straight away? Thank you very much for your very helpful information. Each school, and each country, will conduct business differently. For us, we had our interview with the academic manager and had a reply back from her within a couple of days. I would follow up with your contact to see where things are at, especially if you are hoping to start next month. I have been through the interview process already and have been told my contact will have to speak to his management staff. So what am I to expect please? What types of people would you recommend the Shane English School to? Would you recommend it to rookie and noob TEFL/TESL teachers with no prior teaching experience? I recently completed a TEFL course online and got a 100 hour certificate in August of 2015 and want to get my feet wet in TEFL in China. I also have a college degree but haven’t had the opportunity to really use it. I really think that this could be the thing that I’ve been looking to do with my college degree. I want to get the ball rolling on it in 2016. I’m just a little nervous and worried because like I said I have no prior teaching experience and no international experience besides visiting a border towns in Mexico. I really admire and respect what you “goats” do. Living the dream. Teaching at Shane is great. We didn’t have teaching experience before apart from a week or so volunteering in a village in Myanmar! If you have your TEFL, college degree, are from a western, native English speaking country, you’ll be a good fit. Send us an email with your documents if you are interested, as we are recruiters for Shane English School. I have been scouring for reviews about great places to work and Shane English Schools is the place to be. I actually went through the interview process for Shane English School Changzhou, i was accepted and was waiting on my visa being sorted out in China, I was supposed to leave early March only to have my visa denied. The new legislation states I need to have a BA and I was crushed. In South africa, where I am from the NQF (National Qualification Framework) level 7 is a bachelor of Arts Degree and I have a National Diploma in Public Relations NQF level 6 both of which fall under communication science and a 3 year university courses. I have been doing my research on the Internet and I read that there are so e second and third teir cities whose restrictions are not as tough as first teir cities. Is this true and is Yangzhou one of those places? Do you perhaps knows of those types of cities that hire with my qualification level as I am not a dishonest person and will not work with anything other than Z visa. I love working with young people, travelling, meeting people of different nationalities, cultures and from all walks of life and I just know being a language teacher is my calling. Your help I this would be greatly appreciated. Its a really cool school to work for and Yangzhou is a great little city to live in. We’ve been here for about 3 months now and apart from the cold this winter we’re really enjoying China so thank you! Awesome guys! Thanks for the update, glad to hear you’re enjoying it 🙂 Cool that you are bloggers too! Cheers. Hi Nick and Dariece, I just submitted my resume, cover letter, 2 recent photos and a copy of my degree as well as passport (Without the actual passport ID# but it has my photo and birthday) to 2 postings on Dave’s ESL cafe. One is for DD Dragon in Shanghai and another for English Way in Shanghai also. Do you know or have you heard if these 2 schools are legit? I was reading about China ESL scams online and is scared my info will be used for identity theft. Just wanted to double check thanks! Hey! I love Yangshou, its one of my favourite places in the world! I’d love to teach English there next year.. Can you give me some info on how to set this up with the school you taught at? All sounds dreamy!